This was a tense movie. Like a lot of shark attack movies, the setup for the central action is pretty contrived. 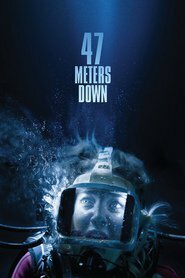 But once the two women are on the bottom of the ocean I spent most of the movie on the edge of my seat. Mandy Moore and Claire Holt do an excellent job of acting terrified and the direction of the action is spot on. Everything looks very real! It’s smart and you will have very few fingernails left when it’s over.